MENDOCINO CO., 9/20/18 — During the first several days of the River Fire the blaze moved through nearly two thirds of the nearly 5,400 acres that comprise the UC Hopland Research and Extension Center (HREC). Luckily, no houses, structures, or animals were lost, but the fire did tear through a significant portion of the property — leaving much to be done for land restoration, as well as research. 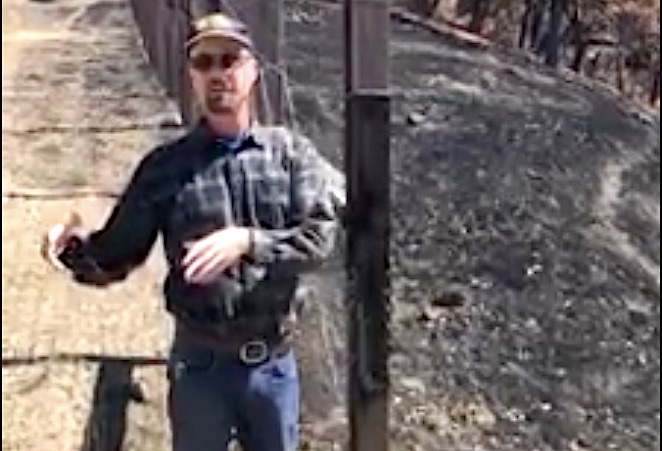 Here's a video which shows how the fire impacted grazed lands differently than other grasslands, featuring HREC's John Bailey, where you can get an idea of the research they'll be conducting. To help with the fire recovery effort, HREC is seeking volunteers for a work day on this Tuesday, September 25, to assist with both data collection and restoration activities — including acorn collection, monitoring kestrel nesting projects, and assisting with equipment clean-up. The research conducted on the HREC lands will go towards developing better wildland recovery methods to share with the public. Volunteers are encouraged to register by 2 p.m. on Monday, Sept. 24 (see details below). After the Redwood Complex fire, research staff at HREC had been organizing workshops to help residents learn strategies for fire recovery, but now the staff are faced with similar challenges on their lands. As part of HREC's recovery effort, staff are undertaking a variety of research projects to evaluate what methods of wildland management and restoration are most effective after a fire. Here's all the details from their press release. For more information contact Hannah Bird (707) 744 1424 ext. 105 or e-mail [email protected] More work days are planned for upcoming weekends; donations towards the recovery efforts can be made here. Over two-thirds of the UC Hopland Research and Extension Center (HREC) was burned on July 27 and 28 as the River Fire moved through the 5,358 acre ranch. All homes and structures were saved alongside the ranch animals thanks to the efforts of staff, neighbors, CALFIRE and the Hopland Fire Protection District. Now, the site and it’s team are working towards recovery and aim to learn as much as possible from the wildfire. On Tuesday, September 25 HREC will welcome volunteers to support post-fire recovery and data collection. 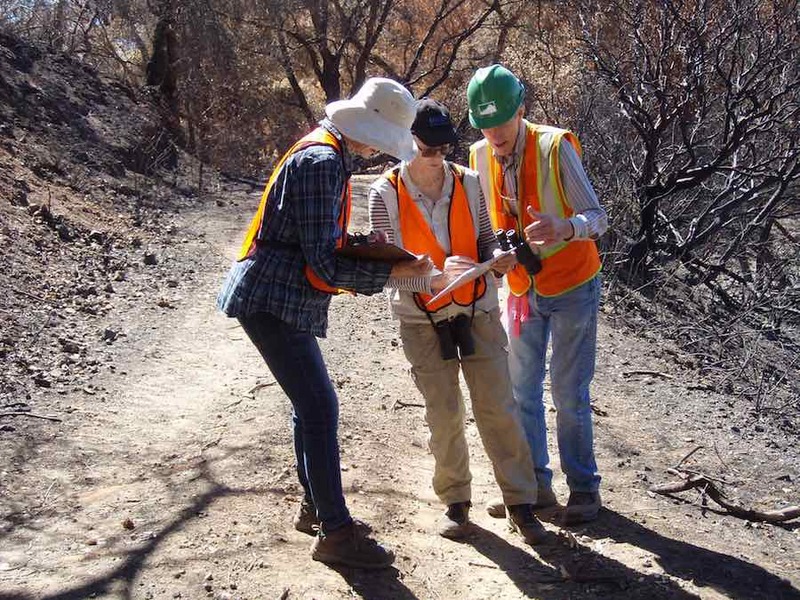 “We really appreciate the time and support of volunteers as we work to clean up some of the damaged areas left behind by the fires and to begin to collect important data on how our landscape is recovering from the fire. This data can be useful to help others manage and prepare for wildfire.” commented Hannah Bird, Community Educator at HREC. Volunteers are asked to sign up before 2pm, Monday, September 24 by following this link http://bit.ly/PostFireVolunteer . Tasks will range from monitoring kestrel nesting boxes to supporting cleanup of burned research equipment and collecting acorns for replanting in burned areas. Volunteers are asked to come prepared for hiking and working in the field. “We appreciate that not everyone can make it on a week day and hope to have another weekend volunteer effort soon. For those who would like to help, but do not have the time to volunteer, we also appreciate donations to support our recovery at http://bit.ly/SupportHREC” concluded Bird. Due to the nature of the research with sheep and a commitment to using guard dogs as part of a predator control program, no dogs are allowed at HREC. For more information contact Hannah Bird (707) 744 1424 ext. 105 or e-mail [email protected]. The Hopland Research and Extension Center is a multi-disciplinary research and education facility run by the University of California, Agriculture and Natural Resources Division. As stewards of more than 5,300 acres of oak woodland, grassland, chaparral, and riparian environments their mission is to find better ways to manage our natural resources and conduct sustainable agricultural practices, through science, for the benefit of California’s citizens.